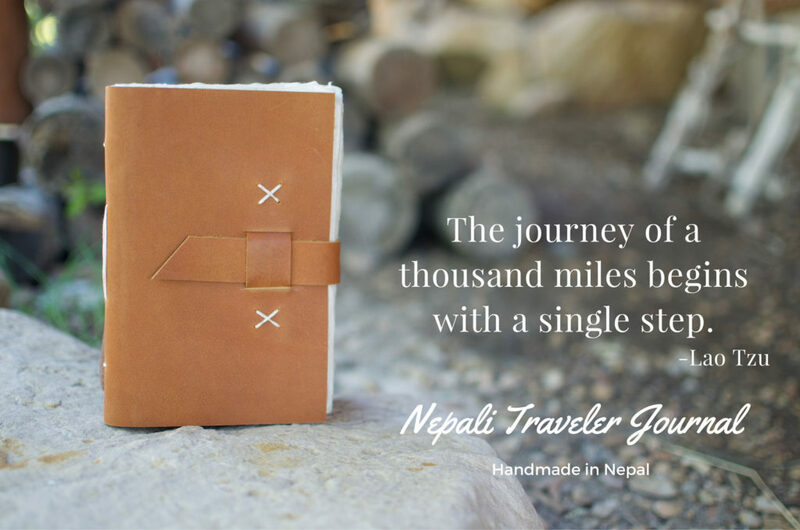 Write down your journey with our Nepali Traveler Journal handmade in the Himalayas. 1,000 years of tradition goes into the making of the paper in our journals. Starting with the Lokta bush (a non-tree source) concluding in paper made by hand and carried by donkey through the mountain passes of Nepal eventually reaching Kathmandu where the paper is handcrafted into our journals. View more about our Nepali Traveler Rustic Leather Journal.